The title of king has always been source of controversy in the Hip-Hop world as everyone assummes that they are the rightful owner of the title. 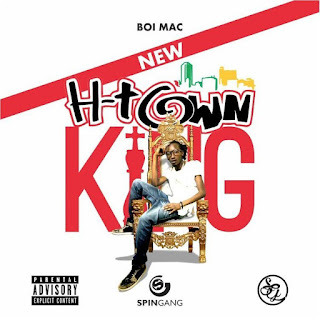 Boi Mac boldly titled his new mixtape New H-Town King but we all know the "old" H-Town King, right? Tatea Da MC is the first to boldly proclaim himself the H-Town King (ad-lib and all) and you'd be quick to assume that this is a dig at him but when you see that he appears on the first track you realize that this could be the passing on of the crown. New H-Town King also includes guest appearances from Zimbiyana Jones (fka MC Chita), Alta Ego, V$G and Rhed, with production credits from TRK, TKay, Forty_5, Bennihanna among others. Missing from this mixtape is For My Set, which is scheduled to appear on Boi Mac's debut album Houdini The Great. Do you think Boi Mac is the new H-Town King?